Colin is using Smore newsletters to spread the word online. 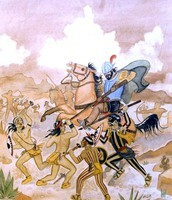 The pueblo revolt was a successful rebellion against the Spaniards. In 1598, Juan de Oñate first conquered the land inhabited by the pueblo people; a collection of various tribes. After years of brutal killings, enslavement, and forced religion the pueblo natives finally gained enough collective power to overcome the Spanish settlers. 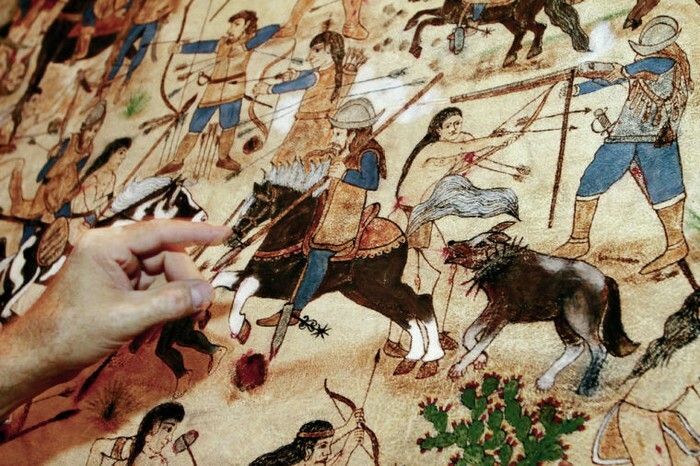 Though the years following Oñates's conquest were filled with violence and unrest, the pueblo revolt marked the native's expulsion of Spaniards from their land for the next hundred or so years. The pueblo revolt signified a turning point in America. For the first time since the introduction of Europeans, native Americans began to take back to land they had been robbed of. By expelling the Spaniards in 1680, the pueblos set a framework for many tribes and enslaved people that would lead to the many revolts of the later millennium. 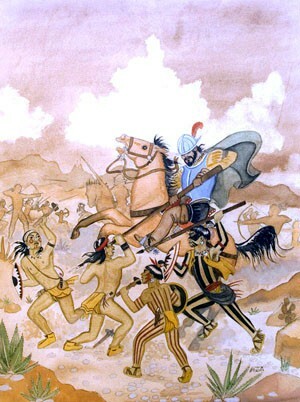 Popé; the leader of the revolt, altered the history of the American southwest forever and allowed for the continued celebration of pueblo culture in the area. The pueblo revolt granted the natives freedom from the European settlers for the first time since the initial Spanish conquest. This revolution set an example for many other natives and resulted in one of the few wins for the collective Native American tribes. The use of knotted ropes for a language system between the Pueblos, Utes, Navajos, and Apaches over vast distances proved an achievement in the technology of natives. For the first time, natives proved to be more powerful than the mighty Europeans. The pueblo revolt was the first revolution of the Americas by Americans. The natives were inhabitants of the new world far before the Europeans, and not considering their revolt in the history of Americans is an insult. 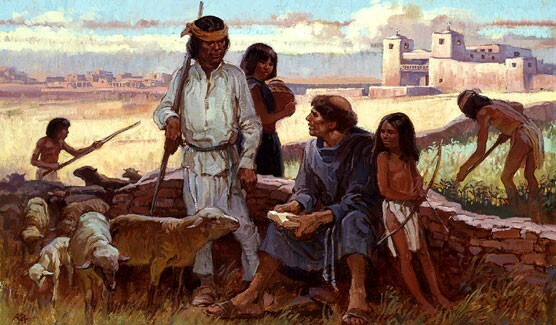 The revolution of the pueblo people is similar to many revolts soon to come, and although it is often forgotten in the the long and brutal history of European conquest, the pueblos were successful in removing the Spanish from their lands for over 100 years.